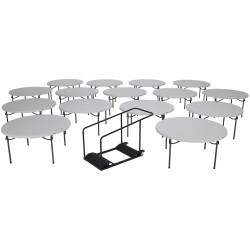 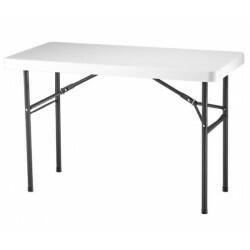 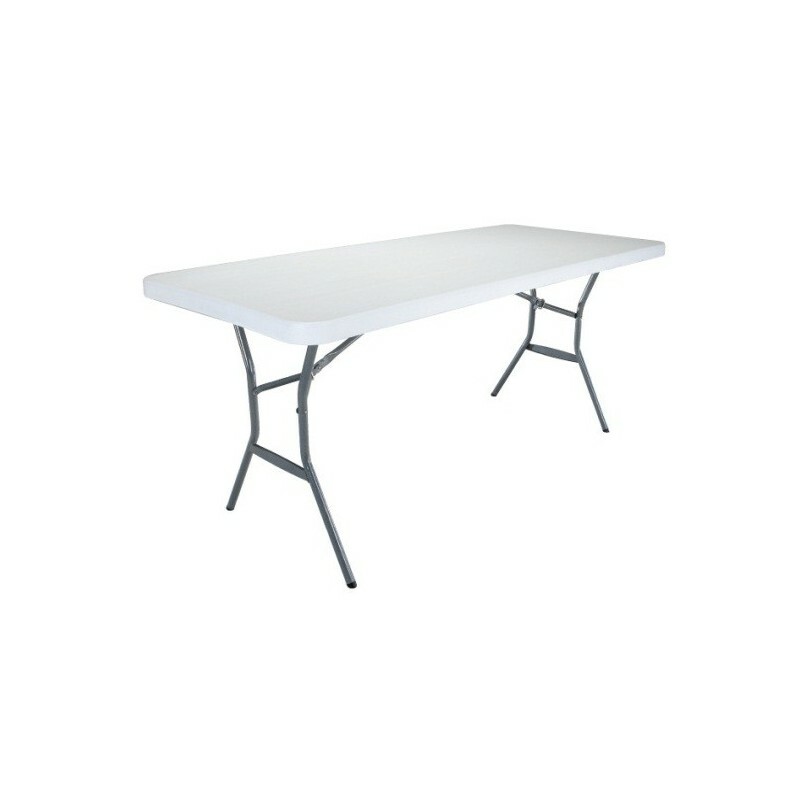 Lifetime's 6 ft light commercial grade folding tables are lightweight tables with heavy-duty construction designed with a low maintenance polyethylene plastic tabletop and powder-coated steel frame for indoor or outdoor use. 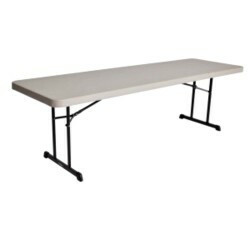 If your organization is in the market for light folding tables with heavy-duty construction, check out the 6 ft light commercial grade tables from Lifetime Products. 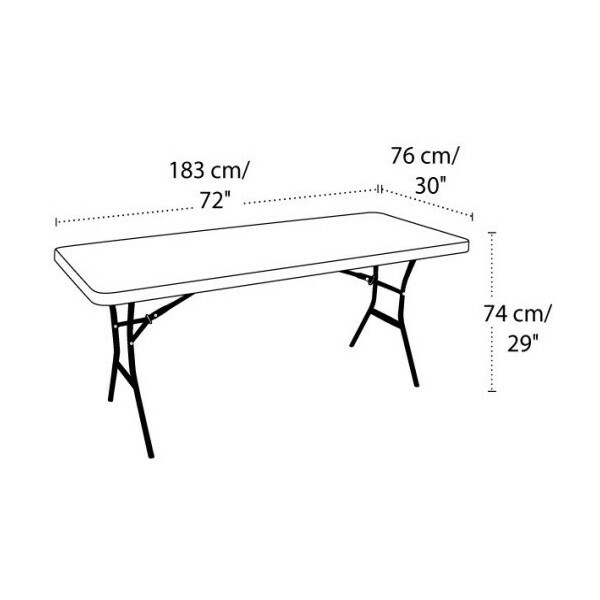 Look around and you'll see Lifetime tables being used indoors and out at a variety of professional institutions and community centers because they're constructed from top-quality materials with innovative design features that make them very convenient to use. 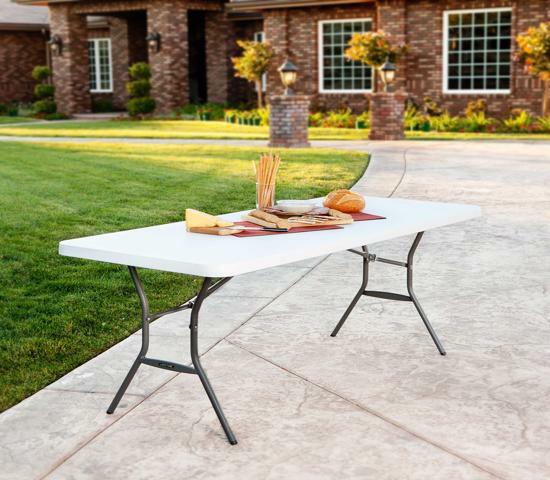 The tabletop is constructed from high-density polyethylene (HDPE) plastic so it's stain resistant and scratch resistant with UV protection to resist fading. 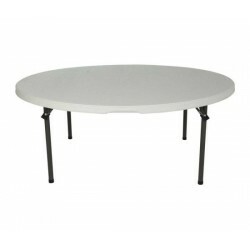 The steel table frame is powder-coated to resist rusting. 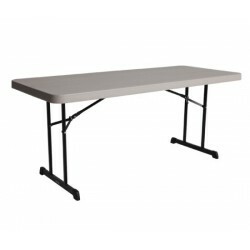 For lightweight heavy-duty tables that require very low maintenance, you can't go wrong with Lifetime's 6 ft light commercial grade folding tables. 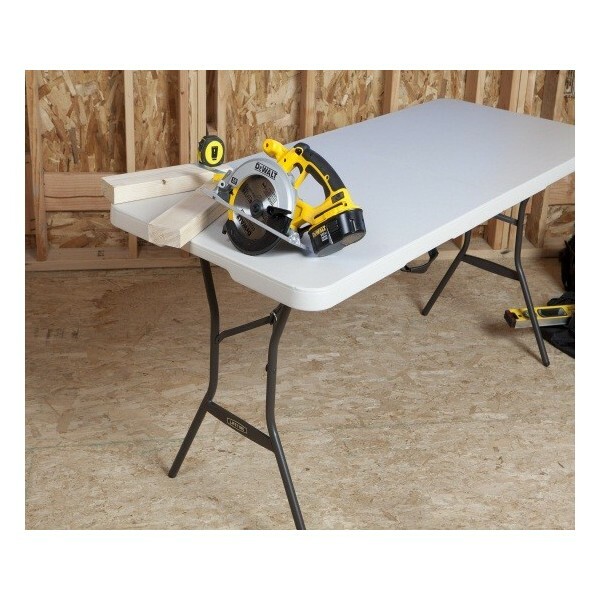 Brace arms are made with solid steel. 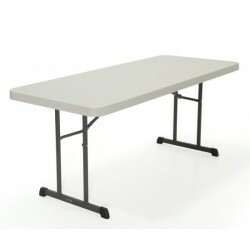 Maintenance: Easy to clean. 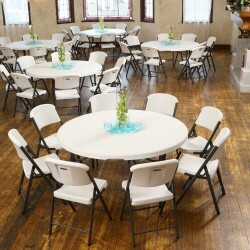 Just use a mild soap and a soft-bristled brush. 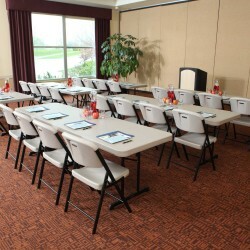 For tough stains, use a mild abrasive such as Soft Scrub®. 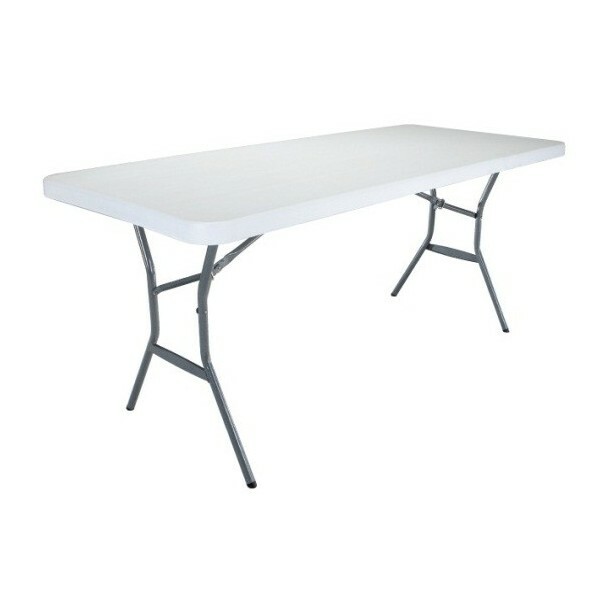 Use rubbing alcohol on wax, and a de-greaser for automotive grease. 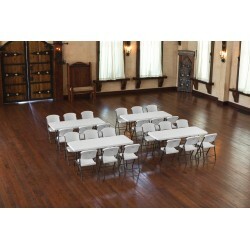 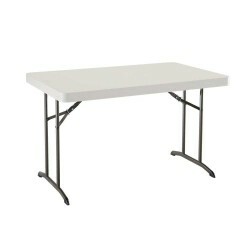 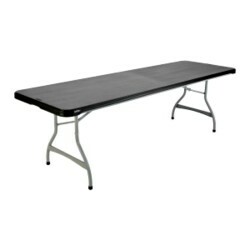 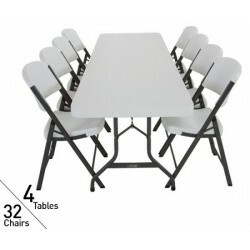 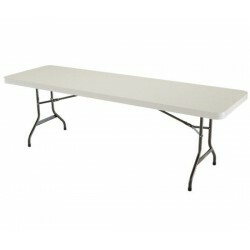 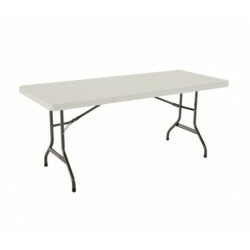 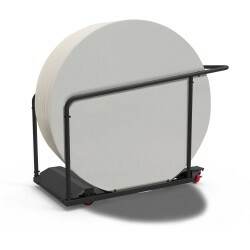 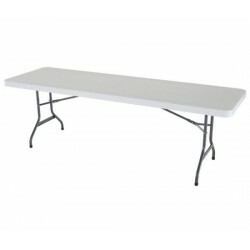 If you're looking for big tables for your big event, check out the 8ft. 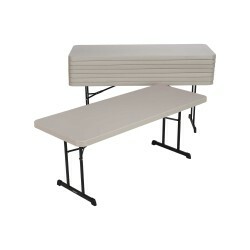 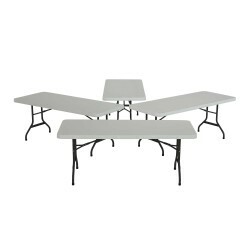 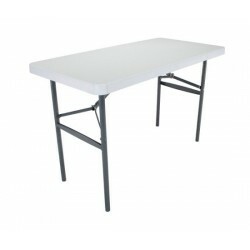 folding tables from Lifetime Products. 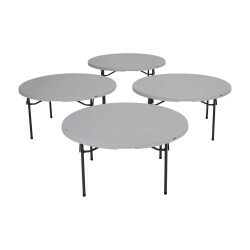 Constructed with a durable, low maintenance plastic tabletop and a powder-coated steel frame for indoor or outdoor use. 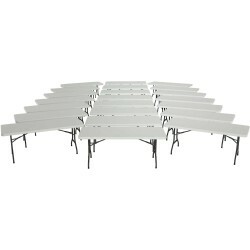 Available individually boxed, 4-pack, or 21-pack.FREE Fast Shipping!